Financial aid is money made available by various sources to be used for education. 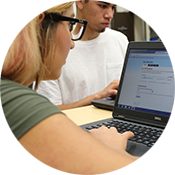 Gavilan College participates in several types of financial aid programs. Grants, scholarships, work-study, loans, fee waivers and other special programs may be available. Eligibility requirements vary; please check the links for more information. Awards are calculated using the information on the FAFSA, including: prior year income, assets, and family size. A Free Application for Federal Student Aid (FAFSA) is used to apply for most types of financial aid. Applications may be obtained from the Financial Aid Office, high school counselors and career centers or public libraries. You may also apply online: www.fafsa.ed.gov. What is the school code I need for the FAFSA? I just applied, why do I have to apply again? You must reapply for financial aid each year. Personal situations can vary greatly from year to year, so the yearly renewal allows for the most accurate information to be used when making a financial aid determination. The FAFSA is only valid, each year, from July 1st of the current year to June 30th of the following year. You may complete a FAFSA in January that will be used in the upcoming Fall semester (the next school year). What information do I need to complete my FAFSA accurately? Your Social Security number, tax forms from the previous year, any records from untaxed income received (Temporary Assistance to Needy Families or Social Security, for example), any investment records, your parents’ information (if you’re dependent), and your alien registration card (if you’re not a US citizen). I received a letter that said my application could not be processed, what do I do? Usually this is something minor. You may submit the necessary corrections by mail or online or bring your Student Aid Report (SAR) to our office for help. What does EFC really mean? Expected Family Contribution. It is the amount, as determined by a federal government formula, that your family is expected to contribute to your education. It's the total amount it will cost you to go to school, usually for a school year (nine months). The amounts are determined by a federal government formula. See our budget page for additional information and current budgets. I received a Tracking Letter and some forms in the mail, what do I do now? The documents we sent you must be completed and returned to the Financial Aid Office. You will not receive any aid until your file is complete. It is your responsibility to return the forms in a timely manner. Pell grant amounts are based on your financial need, your units in school and any other forms of aid received. The amounts listed on your Award Letter are based on full-time status. What does my award letter mean? The awards listed on the letter are based on full-time status, so if you attend part-time, your awards will be less than the amounts shown. Awards for the school year are shown, broken down by each aid program. Generally, Pell grant checks are sent out about a week after the Award Letters. Cal Grant distributions vary, check with the Financial Aid Office. Why doesn’t the amount of my check match the amount on the Award Letter? It could be a couple of reasons: Pell grant checks are divided in half and sent out twice per semester so the amounts will be smaller than shown on the Award Letter. Also, the awards listed are based on full-time status, if you attend part-time, your awards will be adjusted accordingly. When will the second checks be sent? Disbursement of the second Pell Grant check takes place after 60% of the semester (approximately 10 weeks) has been completed. Check with the Financial Aid Office to get the approximate date. I just received a disqualification letter, what does that mean? All financial aid recipients are required to maintain standards for satisfactory academic progress in order to receive financial aid funds. If it’s determined that you do not meet these standards, you must submit an appeal to reinstate your aid. I just received a letter stating I was not eligible for grants, what happens now? First, you should review the Student Aid Report that you receive after you submit your FAFSA application to make sure all the information is accurate. If there are mistakes, submit corrections. If the original information is accurate, you may still be able to participate in work-study or apply for loans and scholarships. Contact the office for further details. What if I still believe I should be receiving grants? 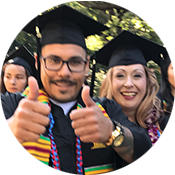 If you believe that you have a special circumstance that warrants a reevaluation of your aid determination you should come by the Financial Aid Office to discuss any options you may have. Keep in mind that there must be compelling reasons and adequate documentation for a reevaluation to occur. First, you must meet the eligibility requirements and submit the FAFSA and all necessary forms to the Financial Aid Office. Then, you must attend a Loan Entrance Counseling session. For more loan information, visit our loan area. How will I receive my loan money? Once you have completed all necessary forms, you will receive a letter from us indicating that you can come in and pick-up a release form to take to our Business Office. You will receive the check from them when you present your picture ID and the release form. What do I do if I haven’t filed my taxes? You can use estimated income. You will be able to make corrections to your FAFSA, but you want to make sure that you submit the FAFSA as early as possible, so that you don’t miss out on any early aid deadlines. I lost my taxes, what do I do now? If a paid preparer completed your taxes, you can request a copy from them. You are also able to request a tax printout from the IRS. You can print a copy of Form 4506-T from the IRS web site to request a transcript. What is proof of non-filing? You will need to contact the IRS and request proof from them that you did not file taxes for the year in question. Form 4506-T, if needed, may be used for this purpose. The IRS phone number is 1-800-829-1040.